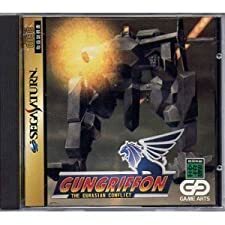 Gungriffon is an Action - Shooter game, published by Sega Enterprises, Ltd., which was released in the United States of America in 1996 for the Sega Saturn. Gungriffon (Sega Saturn, 1996) Complete With Case and Manual Damaged case !!! 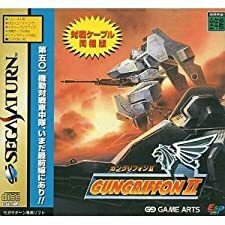 GunGriffon (Sega Saturn, 1996) - Game Disc - TESTED - Gun Griffon - !!! 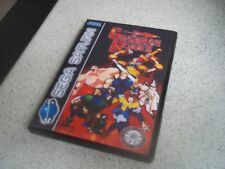 GunGriffon (Sega Saturn, 1996) Complete w Case & Manual Very Nice! !!! 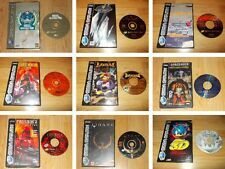 SEGA SATURN NTSC SPIEL Gun Griffon OVP, gebraucht aber GUT !! !